To select the target repository, I have defined a parameterized section for distribution management into the JRebirth Organization ‘super’ parent pom. Now we can call: maven clean deploy -P Bintray,GPG to push artifacts to Bintray, when the build has succeeded open your Bintray Package, you will see a notice message indicating that some items can be added to this package. Just accept them by clicking on Publish, and you can use the File tab pane tocheck that all files are OK.
A this point, your binaries are available within Bintray !!! You shall ask to Bintray support to permanently sync your package into JCenter, this should be done only once and will take some hours to let them verify your owner rights on binaries published. 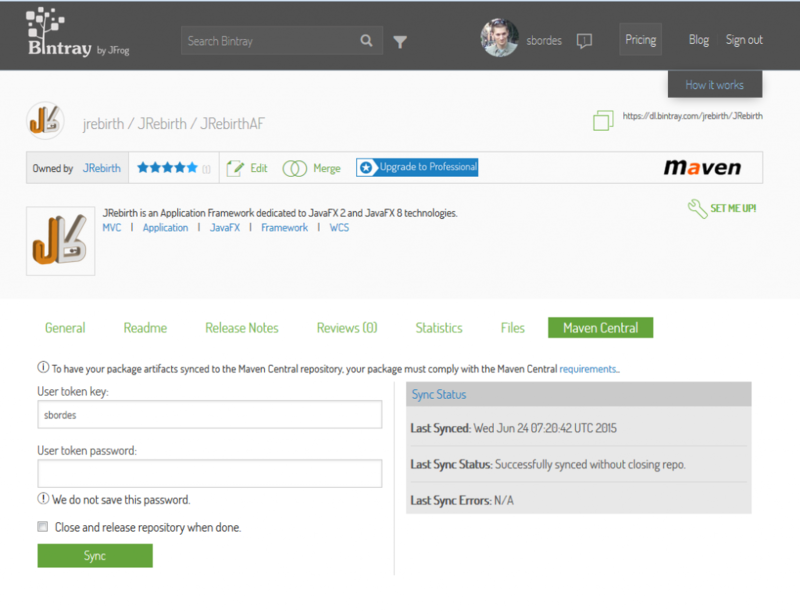 But what is JCenter ? 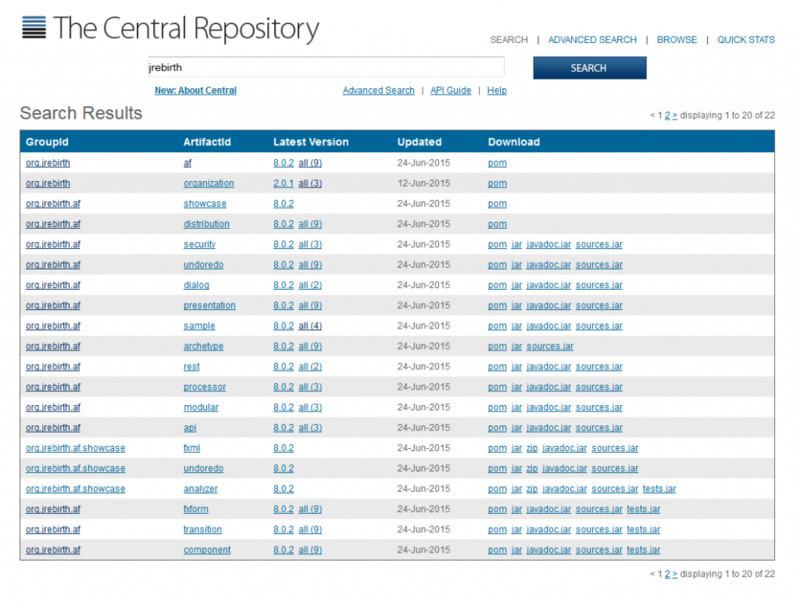 In few words, it’s the best alternative to Maven Central, because it’s a superset of it ! 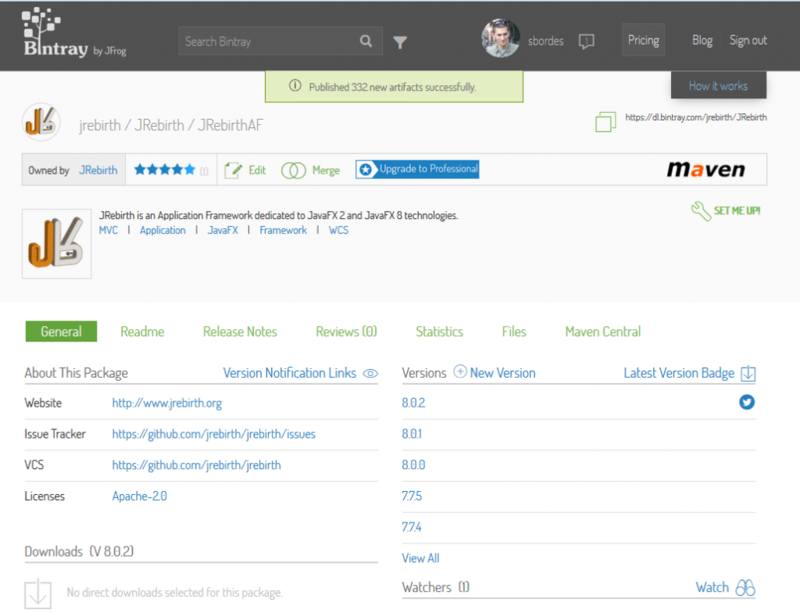 JCenter is the place to find and share popular Apache Maven packages for use by Maven, Gradle, Ivy, SBT, etc. 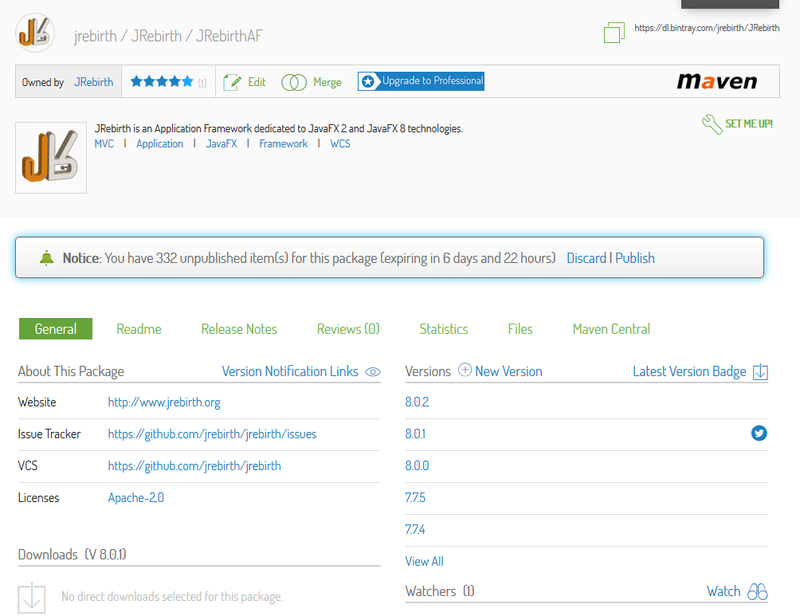 Want to distribute your own packages through JCenter? You can link your package by clicking the “Include My Package” button. 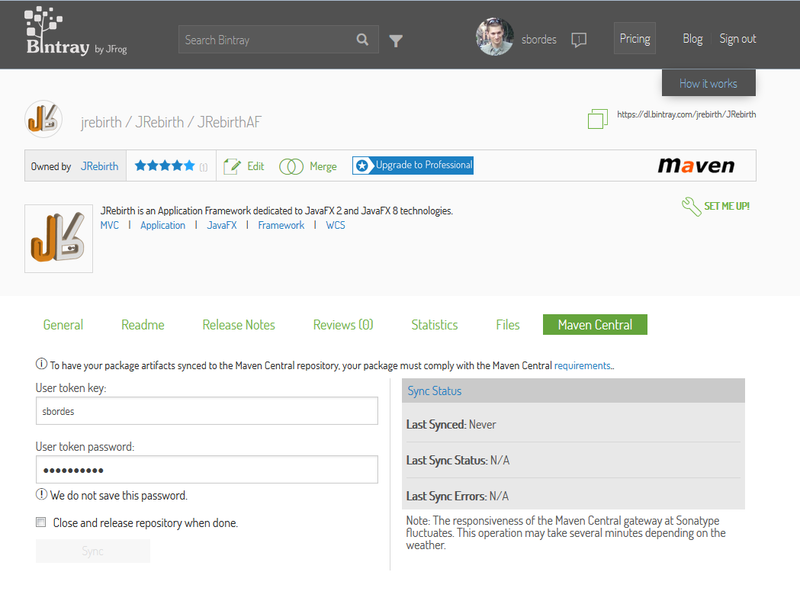 And if you’re into legacy, you can even synchronize your packages directly to Maven Central. Let’s send our binaries to Maven Central, the largest ‘legacy’ repository for java binaries, use the right tab pane. Then use your login/password asked on sonatype’s JIRA. (http://central.sonatype.org/pages/ossrh-guide.html) and click Sync button. Wait a moment and carefully read the Sync Status message, if there isn’t any error you can jump to next step. 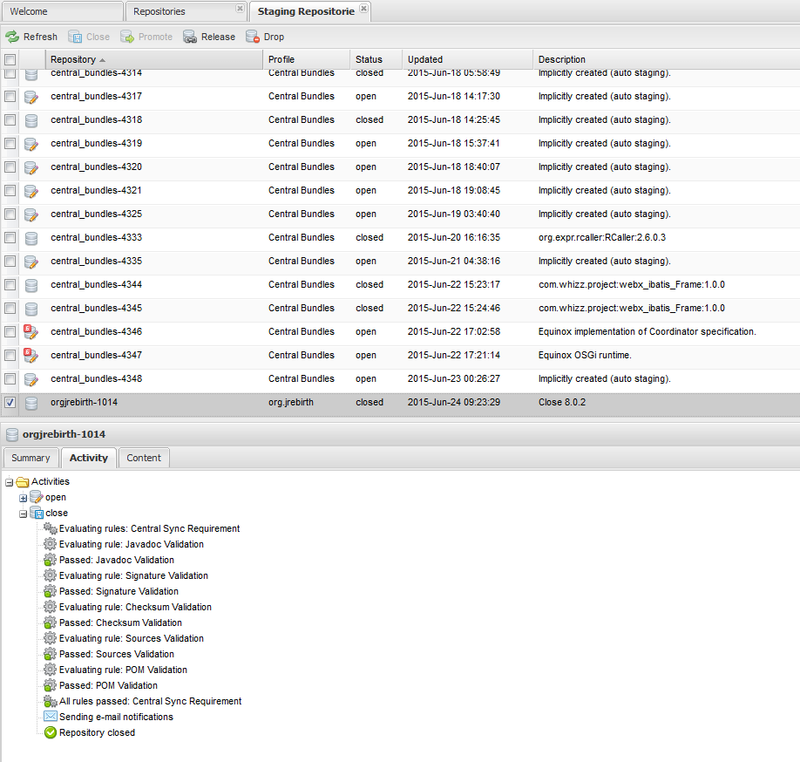 Previous steps only send all files to staging area into oss.sonatype.org repository, the antechamber of Maven Central. So you have to perform some other steps to really release them. 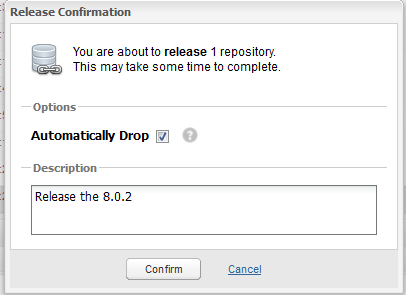 All these steps could be skipped if you check the item “Close and release repository when done”. But the first time you should perform it manually to check what goes wrong (even if errors are displayed within Bintray page). You can also modify staged files, in example to remove some files. 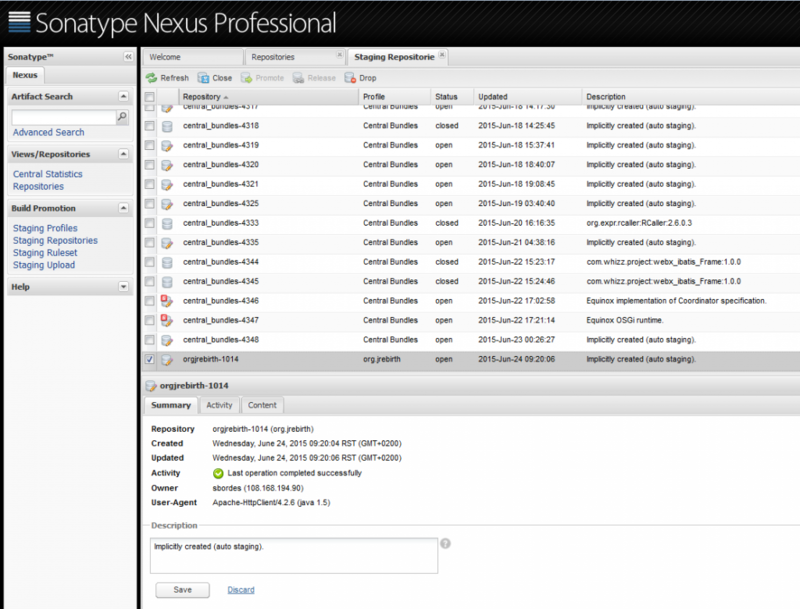 Log in to Sonatype repo, and open staging repositories page. 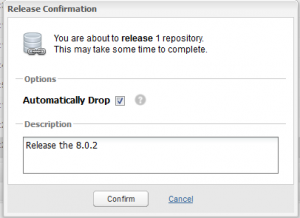 Find the repository created by the Bintray synchronization (for us it was orgjrebirth-1014) and close it ! A confirmation popup will be displayed, just validate it and check the close logs. 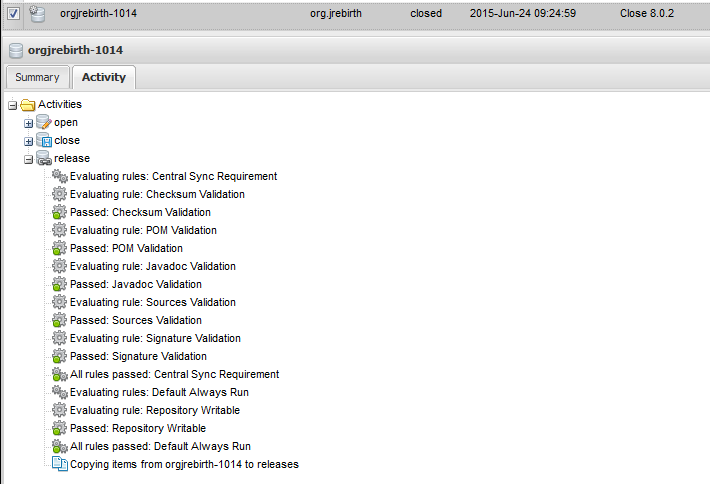 Again check the release logs, first time there are often error like missing GPG signature or missing javadoc or source jars (you can browse JRebirth pom to find how it was configured). You can also refer to the sonatype how-to web page to fix these errors. Before 8.0.2 I had to remove all showcases modules because validation of Maven submodules was failing due to an old Maven issue, fortunately it was fixed and no more manual steps are required. Great ! your repository is now released, you can drop it and wait some hours to see your files available into Maven Central.